Movie in the Park just got upgraded! Cancelled portions of the Shin Dig on Shin Oak have been rescheduled for Saturday, October 13th. 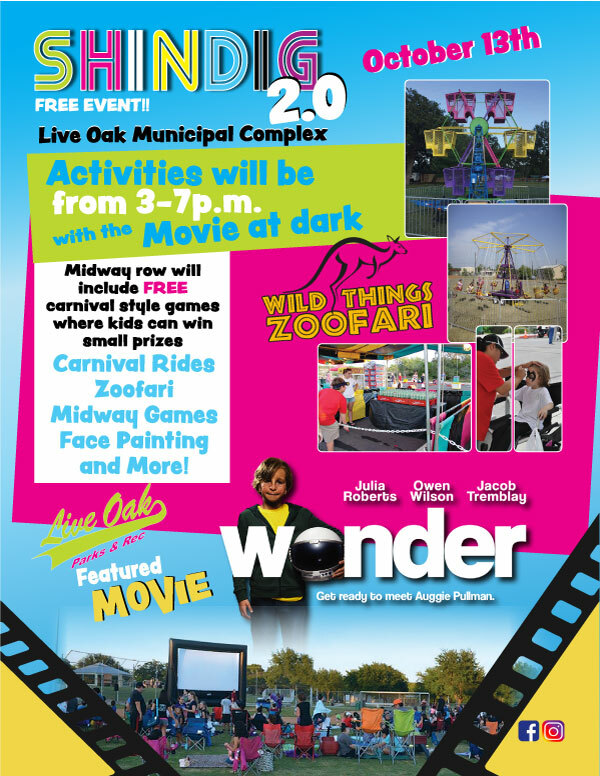 The fun begins at 3:00 PM with carnival rides, face painting, a petting zoo and games and prizes on the midway! The carnival will continue until 7:00 PM and the movie will begin at dark in the field next to the Justice Center. This event is FREE to the public and will be hosted in the field next to the Justice Center, 8022 Shin Oak.